Hello ... Hello ... my old friends ... It's great to see you once again! It was perhaps written in the "Starlight" that my next opportunity to see The Traveling Pilburys would be down the lane and not so far away from the birthplace of Jeff Lynne during ShardFest 2014 [an event born from the demise of the Shard End Carnival], held on Sunday 6th July at the Norman Chamberlain Playing Field. The ELO connections were plentiful during this well organised, enjoyable and successful festival [attended by an estimated 6,000 folks] with former Jeff Lynne bandmate and Andicaps frontman John Kerton leading the Pilburys [who were assembled by Jake Commander back in 2008] and a fantastic music history exhibition that was present celebrating the likes of Carl Wayne, Bev Bevan, Roy Wood, Ace Kefford, Trevor Burton, Jeff and many of the other Brum Beat icons who we all know and love - all just a stones throw from the famed Shard End Crescent. The event was blessed with great weather up until after the impressive set by Bonnylou when an immense downpour coupled with "Summer and Lightning" brought proceedings to a premature close. 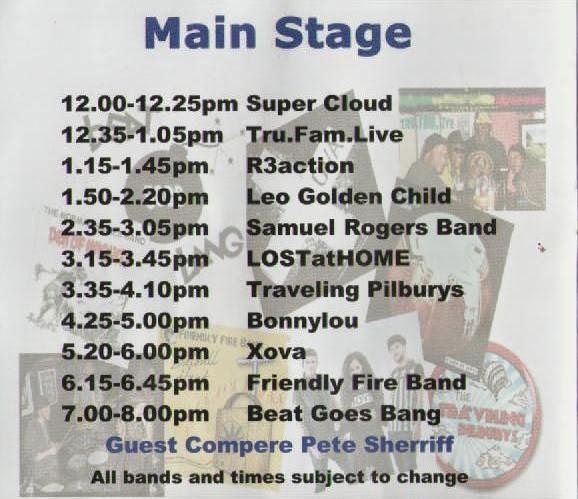 Before that, the main stage featured an entertaining roster of local talent including Super Cloud, Tru.Fam.Live, R3action, Leo Golden Child, The Samuel Rogers Band and LOSTatHOME. The Traveling Pilburys took to the stage at around 4:00PM to deliver another superb set of ten covers with the quintet attracting a sizable audience as they performed a diverse set of songs by the likes of Stealers Wheel, Joe Cocker, Van Morrison, Steve Winwood, The Traveling Wilburys [naturally! ], Rod Stewart, The Killers and Steppenwolf. The quality of the band was more than evident highlighted by the classy vocals, throbbing bass and nifty guitar craft of Messrs. Kerton, Savage and Carpenter, not forgetting [of course] the keys contribution of Steph Griffin and percussion prowess of John Wilson. 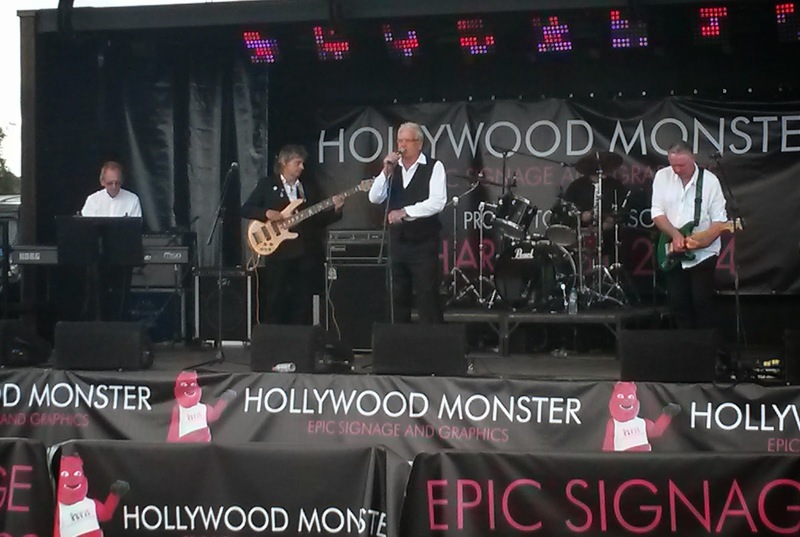 The Traveling Pilburys performed these songs at ShardFest 2014 "Stuck In The Middle With You"; "The Letter"; "Hold Back The Night"; "Brown Eyed Girl"; "Gimme Some Lovin'"; "Handle With Care"; "Handbags & Gladrags"; "Human"; "It's A Heartache"; "Born To Be Wild"
ELO Beatles Forever recommends: The Traveling Pilburys to those enlightened folks who enjoy the music of ELO, Jeff Lynne, Roy Wood, The Move, The Idle Race, 'Brum Beat', The Beatles and related artistes.